If you want to go on an adventure in the Millennium Falcon, then you'd better bring all your Star Wars gear! 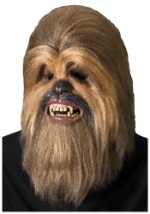 The Chewbacca messenger bag is made of faux leather. The interior features a soft polyester lining and has plenty of pockets and dividers on the inside to keep your belongings secured and separated. The flap features the Star Wars logo etched into the front and folds over the top of the bag. It snaps into place with a set of magnets, while a set buckled straps at the bottom secure it closed. A brown nylon strap clips into place on each side of the bag with metal clips. 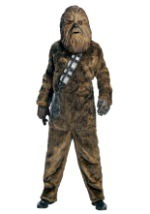 The strap features the classic bandolier pattern worn by Chewbacca, and a set of metal buckles to adjust the length. You can carry anything a Wookiee could possibly need on a trip through the galaxy.